There are 0 residential real estate listings for sale in Grayton Beach. There are 0 commercial real estate listings for sale in Grayton Beach. There are 0 vacant land real estate listings for sale in Grayton Beach. There are 0 total real estate listings for sale in Grayton Beach. 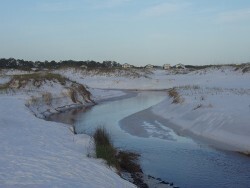 The State Park of Grayton Beach is one of Florida's most popular. It boasts huge sand dunes, plentiful wildlife, meandering trails, and beautiful Western Lake, one of the several coastal sand dune lakes along Highway 30A, which runs just beyond south Walton County's beaches. 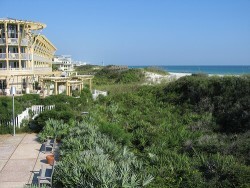 Grayton Beach is peaceful with charming historical cottages intermingled with modern, present-day homes. Grayton Beach offers a great deal of opportunity of tourists looking for nature, such as canoeing, fishing, sailing, bird watching, biking, and hiking along the a 17-mile trails which parallels all seventeen miles of Highway 30A.